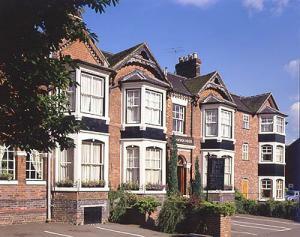 A charming 18th century coaching inn set in the heart of Lichfield. 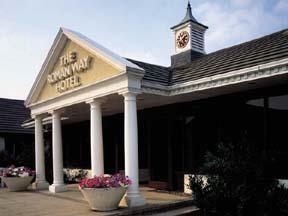 45 en suite bedrooms, carvery restaurant, conference and banqueting facilities for up to 110 guests. The George is just a 5 minute walk away from the famous Cathedral and the new Garrick Theatre. The 45 bedrooms have been recently refurbished to a very high standard and there is a popular carvery restaurant and a cosy lounge bar, open for morning coffees, bar snacks and afternoon teas. Meetings, conferences and banquets for up to 110 people are catered for in the magnificent Regency Garrick room. Friendly and attentive staff will ensure that your stay will be memorable. 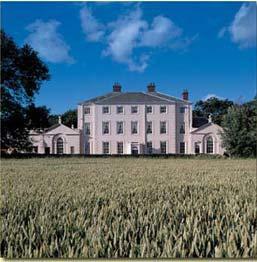 This magnificent Adam Mansion, built in the classic Palladian style, rests within an idyllic, peaceful parkland estate. Escape from the stresses of everyday city and suburban life and enjoy uninterrupted views of the beautiful surroundings from every window. And despite the secluded, tranquil setting, we are only 2 miles from the nearest motorway. Accommodation is provided in our individually, luxuriously designed bedrooms, offering a refreshing alternative to the usual travel experience. Relax in one of our elegant sitting rooms, enjoy a drink on the terrace or take a stroll throughout the picturesque gardens and woodlands. Dating from 1730, Somerford Hall contains a variety of interesting architectural detail such as the original ornate plasterwork in the hallway and a wonderful galleried oak staircase. The ballroom ceiling is an impressive example of period plasterwork and has been lovingly restored. Situated in the heart of Tutbury, this splendid 14th century building, steeped in history and full of character, boasts traditional open log fires and oak beams. Just a stone's throw away from the notoriously haunted Tutbury Castle, the Dog and Partridge is also within easy reach of the village's antique and craft shops. If you wish to venture further afield, nearby you can visit Burton-upon-Trent and the beautiful Peak District. The Dog & Partridge also has a renowned Chef & Brewer restaurant serving quality food throughout the day. 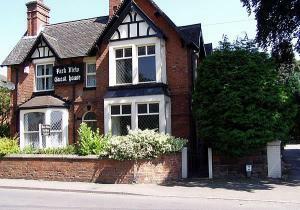 To complement the cuisine, the restaurant offers a selection of cask ales and fine wines. Overlooking the Lyme Valley, this Ramada hotel is in a quiet setting, 3 miles (4.8 km) from Stoke-on-Trent, with the breathtaking scenery of the Peak District a short drive away. 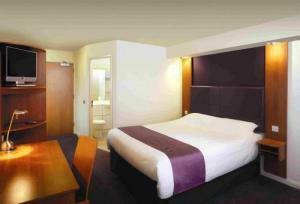 The Ramada Newcastle-under-Lyme has airy, stylish and modern bedrooms, with 2 great restaurants on site. The Kavi Restaurant offers a great dining experience with modern Indian fusion food. The Chic is a restaurant with traditional English dishes and Mediterranean options. 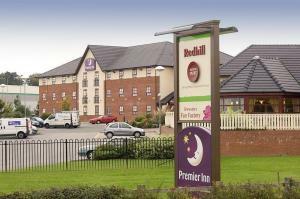 This Ramada has an extensive conference, banqueting and wedding service available. 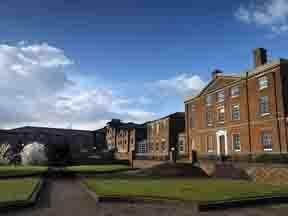 Local attractions include world-famous pottery makers Wedgwood and Royal Doulton, along with theme park Alton Towers. 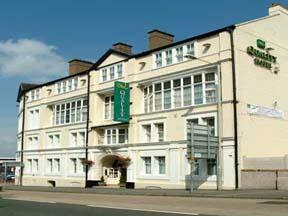 All are within a short drive of the Ramada Newcastle-under-Lyme. 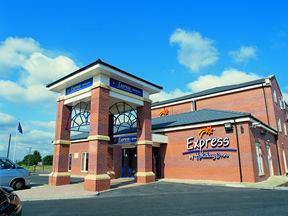 Set in the heart of Staffordshire, this 3-star hotel has a leisure centre and is just half a mile (800 m) from the M6. Alton Towers ticket packages are available. 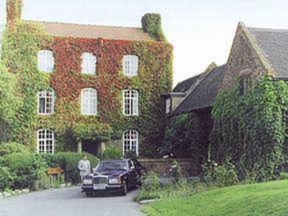 Tillington Hall mixes traditional hospitality with modern facilities. There are 91 en suite bedrooms and a modern restaurant. There is a wide choice of local attractions within easy reach, such as Alton Towers, Drayton Manor, Shugborough Hall and Wedgwood Visitor Centre. For meetings and events, there are 9 conference rooms.